Seven days, two exciting cities, one national park, a global treasure and experiences of a lifetime: An incredible adventure through Alaska lies ahead. Travel through the remote expanses of the Alaskan backcountry, and soak in the community and culture that is offered in Alaska’s big cities on this week-long journey through America’s Last Frontier. 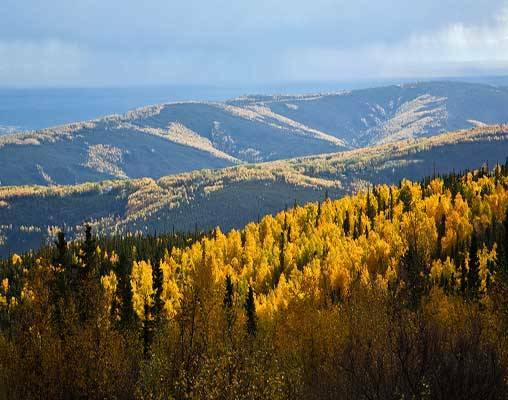 You will enjoy shops, restaurants and museums during your time in Fairbanks and Anchorage and the solitude that can only be found in the beautiful surroundings of Denali National Park. You will participate in a ceremonial airplane landing in the Arctic Circle and set your sights upon some of the lesser-seen areas of Alaska on train rides aboard luxury dome rail cars. This vacation truly is one for the books. 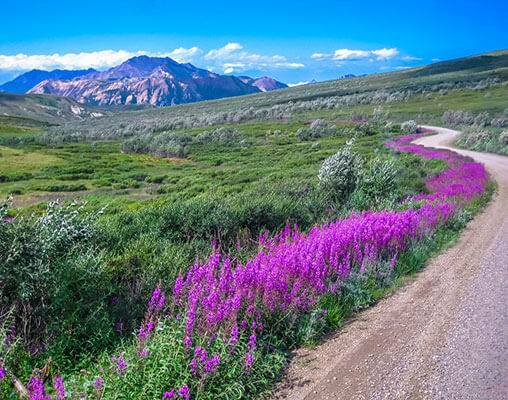 Your journey begins in Fairbanks, where your time is spent exploring on your own and embarking on a truly memorable excursion over the Arctic Circle. A luxury dome train takes you from Fairbanks to Denali, where you will have a chance to leave the hustle and bustle of everyday life behind and lose yourself in the serenity of nature. Again aboard the train, your travels take you to Anchorage for a look at Alaska’s fascinating heritage and culture through independent exploration. Tame the wild land of Alaska on your own terms, and enjoy all the sights and scenery along the way with this memorable tour. Upon arrival in Fairbanks, transfer to your centrally located hotel on your own. After settling in, you will have the remainder of the day to sightsee and explore independently. Overnight Fairbanks. Spend the morning further acquainting yourself with Fairbanks. There are museums to choose from, including the Fairbanks Ice Museum and the University of Alaska Museum of the North, as well as interesting sites that combine history with culture, such as Chena Indian Village and Pioneer Park. This afternoon, you will transfer to the airport for an excursion to remember: a flight over the Arctic Circle. 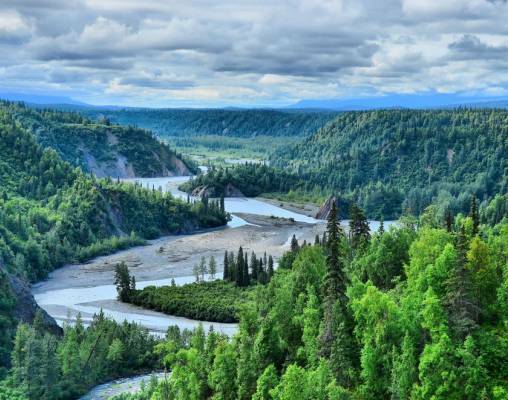 Your plane will depart from Fairbanks and fly over abandoned mining areas dating back to the Alaskan Gold Rush; across the backcountry, where you will catch glimpses of the Trans Alaska Pipeline; and over the mighty Yukon River Valley. Your pilot will note as the plane crosses the Arctic Circle, and once the plane completes its ceremonial landing, you will receive a certificate noting your travels. Now in the Brooks Mountain Range, a coach will take you to the rural town of Joy to an iconic Arctic Circle stop: the Arctic Circle Trading Post. This is a popular stop of travelers, with its wide-range of souvenirs, free coffee and friendly ownership. You will have some time to wander around and to get an up-close look at the Arctic Tundra before returning to Fairbanks. Overnight Fairbanks. This morning, make your way to the Fairbanks train station to board your luxury dome railcar bound for Denali. As the train pulls out of the station, you will see some of the historic gold mining towns that surround Fairbanks. A little further south, the train will cross the Tanana River on one of the largest single-span bridges in the world - measuring 702 feet in length. 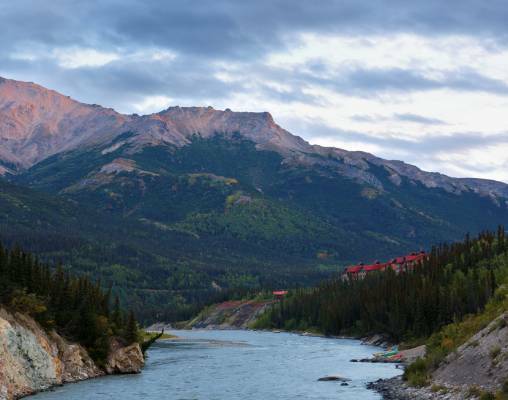 Moving along, you follow the course of the Nenana River to Healy and then through the scenic Nenana River Canyon Gorge, a popular destination for whitewater rafters, before arriving in Denali. In all, the route spans approximately 122 miles and takes nearly 4 hours to complete. The day is yours to enjoy all the best things Anchorage has to offer. Whether you desire natural sites or city offerings, there is something for everyone. 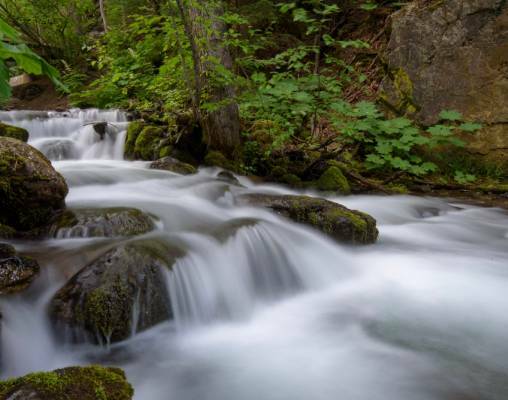 For hiking, biking, mountain climbing and plenty of other outdoor activities, visit Chugach State Park. 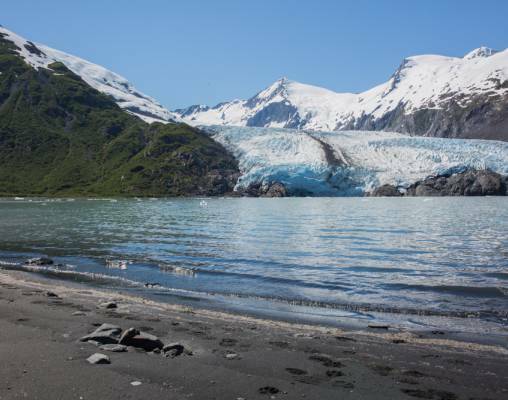 Portage Glacier, and its sparkling glacier-fed lake, are great scenic destinations. The Alaska Wildlife Conservation Center offers an up-close look at Alaska’s mighty animals. Staying in the city, Anchorage Museum is ever-popular, with its vast collection of artifacts and interesting exhibits, and the Alaska Native Heritage Center provides information about the indigenous way of life in Alaska. 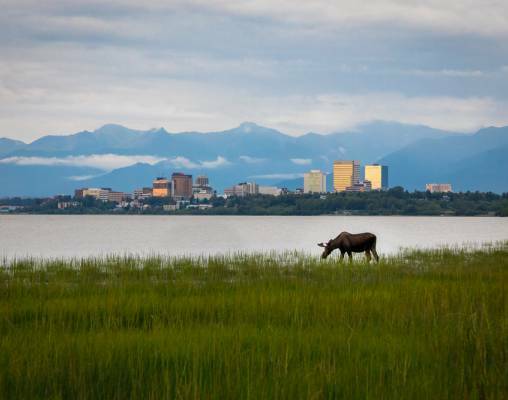 There is a zoo and a wonderful aviation museum in Anchorage, as well as many other shops, galleries and eateries to explore. There are optional excursions you can set out on, including flightseeing, bear spotting and fishing, and guided tours that take you around Anchorage or to Prince William Sound. Overnight Anchorage. Your tour comes to an end as you transfer to Anchorage’s International Airport. Enter your details below if you would like to be notified when 2020 dates and prices are available for Kantishna Arctic Circle Experience. Prices are correct at the time of publication, however are subject to change at time of booking. Prices are per person based on double occupancy.